The most important element of making a vacation luxurious is the accommodation. La Bastide de Moustiers perfectly proves it. This house is a true secret getaway in the heart of Provence. 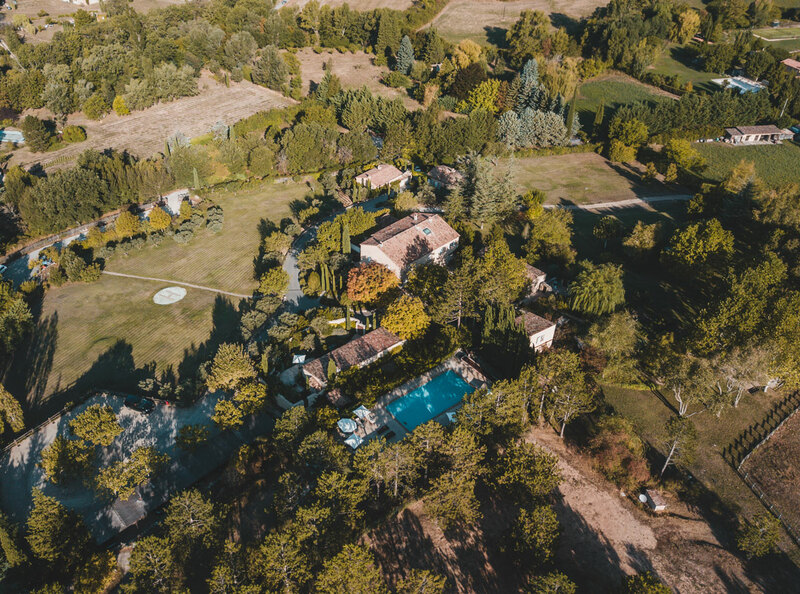 Owned by Chef Alain Ducasse, the property, which used to be a farm, has everything to please its guests. 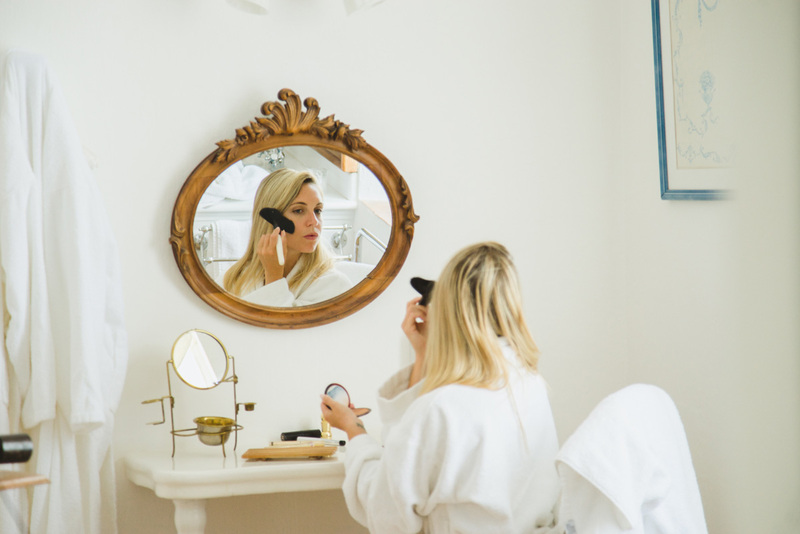 With fine gourmet food, gorgeous rooms, an amazing garden full of surprises and the surrounding Provençal beauty, this is a place you’ll want to explore every inch of. 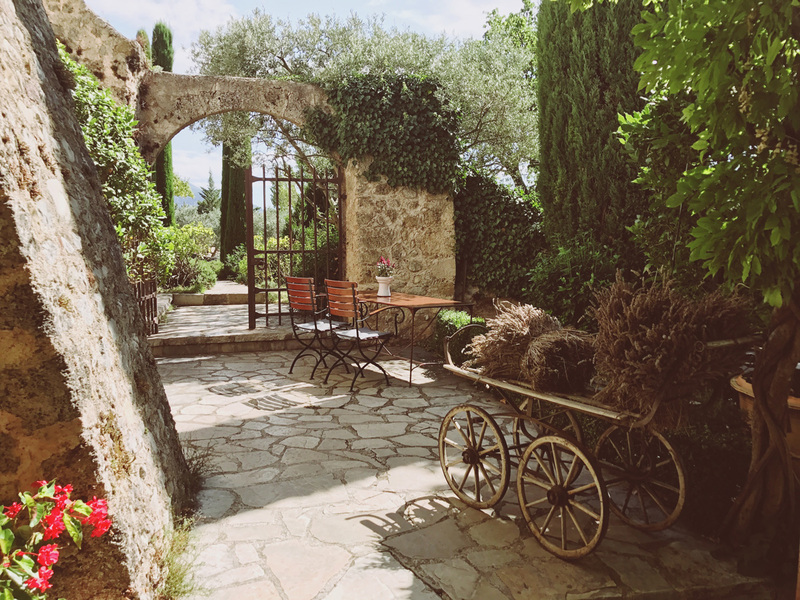 La Bastide de Moustiers is more than just a visual experience. It is an authentic inn to eat and sleep. Basically, it’s every chic Provençal daydream you’ve ever had rolled into one. Not only is La Bastide de Moustiers a visual treat, but it’s also historical. Since the XVIIth century, the building was an imposing farm. As time passed, the Provencal house became the property of a master-faïence maker who transformed the previous farm into a Bastide, making it his home. Alain Ducasse bought it a bit later thinking of making its country house out of it. Fortunately, he decided to let guests experience this luxurious cocoon. 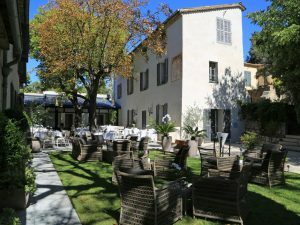 Here’s my experience staying at Bastide de Moustiers in Haute Provence! The property is nestled in the heart of the Regional Natural Park of Verdon, an unspoiled natural reserve surrounding the tumultuous river. 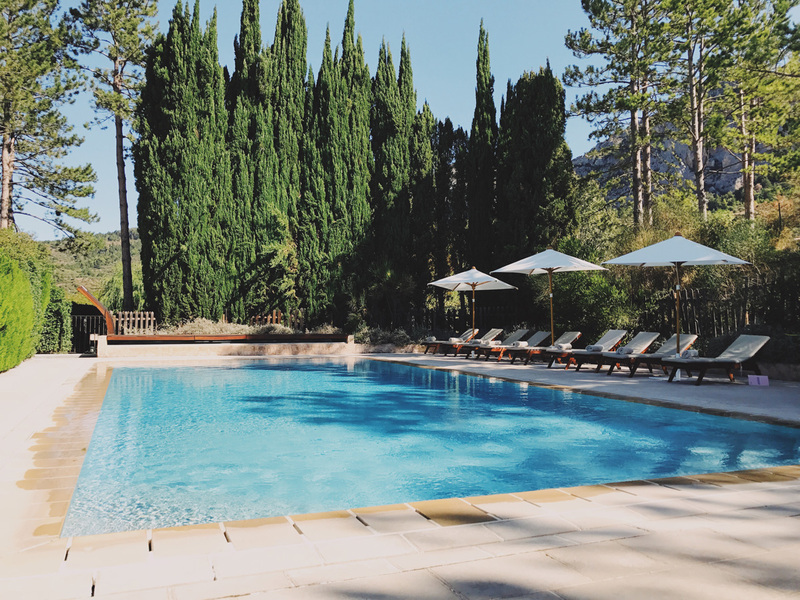 La Bastide de Moustiers has everything you’d expect from a luxury hotel, like a delicious cuisine, a requisite swimming pool (heated, as nights can get cool at this altitude) with wooden sunbeds around, a spa room for massages and even a helicopter area to land. Walking, cycling (mountain bikes and electric bikes are available for guests), or even flying in a hot air balloon is possible. The place offers a magical garden where a horse, a donkey and vegetables lie together. 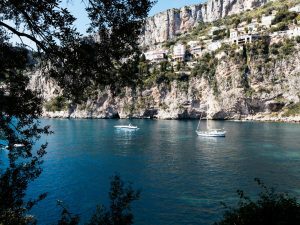 Also, The Gorges du Verdon and the Sainte-Croix Lake are just around the corner. Unlike in most hotels, you can even shop some of Ducasse’s favorite pieces from dish, perfume etc. This place is all about “Provençal’s refined art of living.” It has a unique décor. Everything – from the ancient stone and the lime paint, to each vase, and each piece of furniture – is genuine. 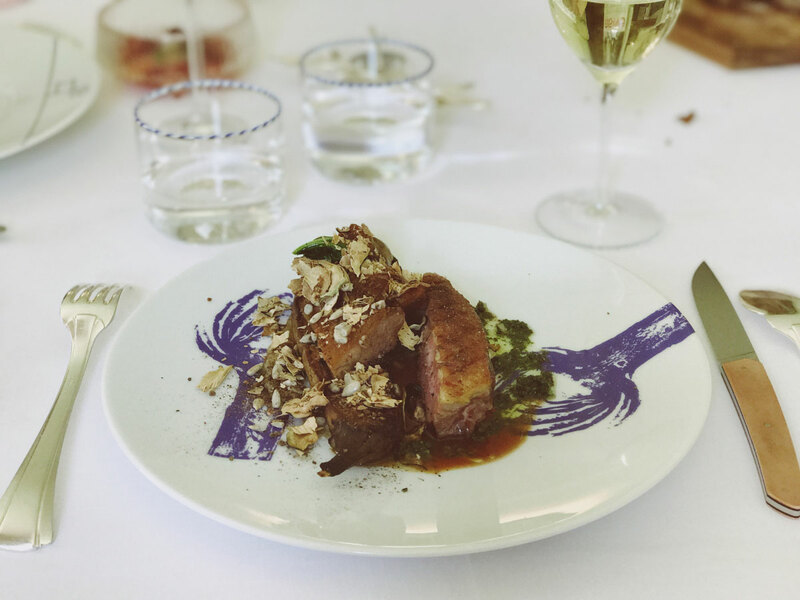 Alain Ducasse selected each items from his personal collection. La Bastide de Moustiers is one of France’s most luxurious hotels while making its guests at home. 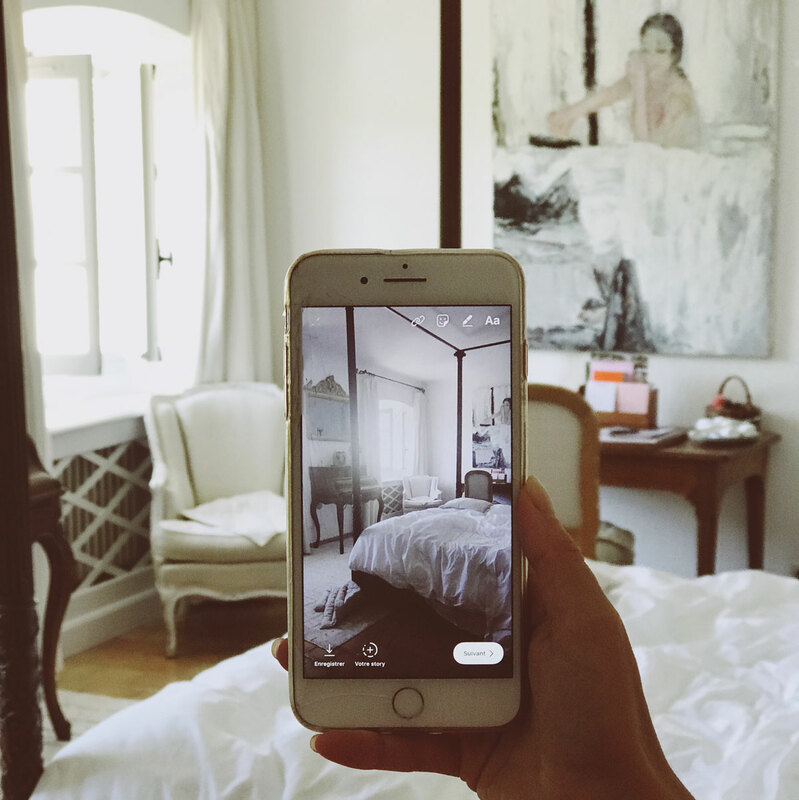 Each room has its own identity and makes you feel like nowhere else. It is a feeling that I had never had before coming to this place. 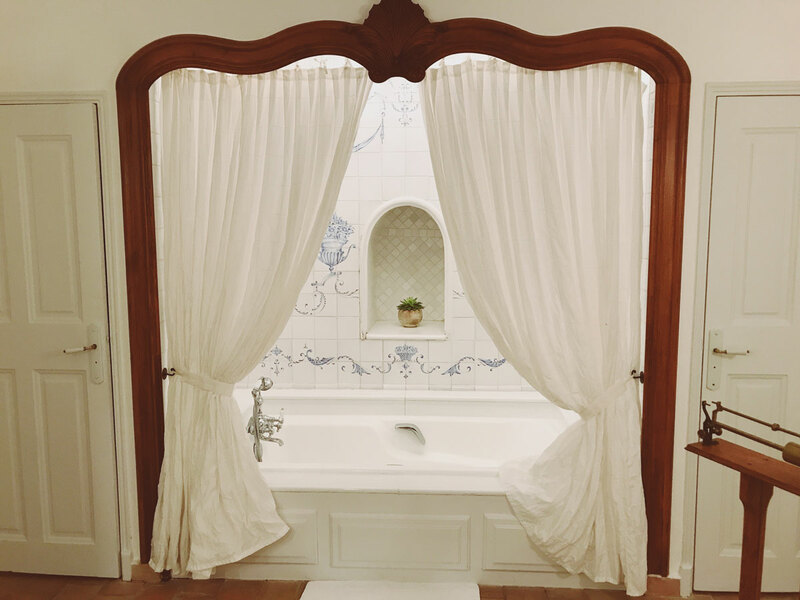 In the “Blanche” room I had the pleasure to stay in, there was a bathroom dating from the 19th century which I fell in love with the first time I saw it. 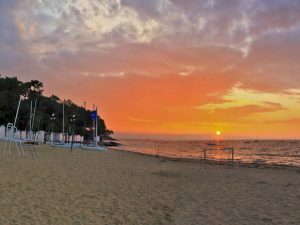 You can choose from the five rooms located in the main building, the other six ones located in separated bungalows or the suite, located at the property entrance. It can even communicate with the Abeille room, thus providing a particularly large living space. The other, The Bastidon, is truly a nest inside the property: it possess its own charming private garden with its own mastic bush and fig tree. Enshrined in the Bastide de Moustiers as itself is nestled in the Provence, The Bastidon is truly at the heart of the heart of the country. The cuisine is everything here. 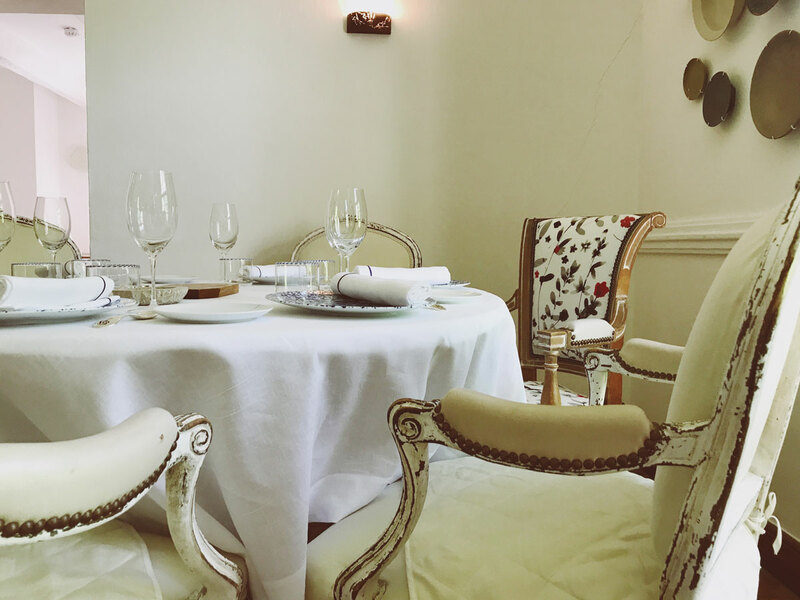 La Bastide de Moustiers features a restaurant where operates Frédéric Garnier, faithful to Alain Ducasse for almost twenty years. 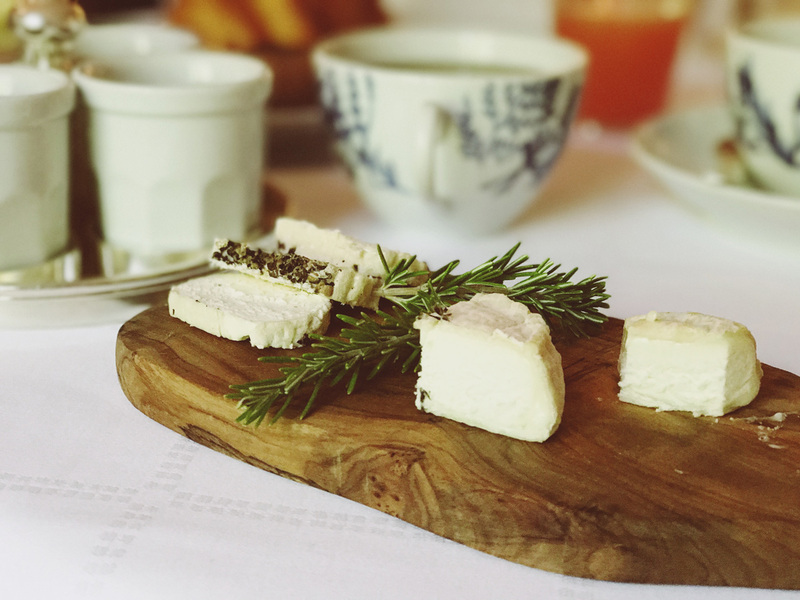 Before heading La Bastide de Moustiers’ kitchen, he was working at Ducasse’s restaurant at Le Plaza Athénée in Paris. Creating a cuisine close to nature, everything that grows in the garden of the property is used. And if not, the Bastide team will certainly offer you some tomatoes as a souvenir of your stay. When we arrived late at night, we were prepared a chic French picnic made of cheese, salad and a great glass of wine. 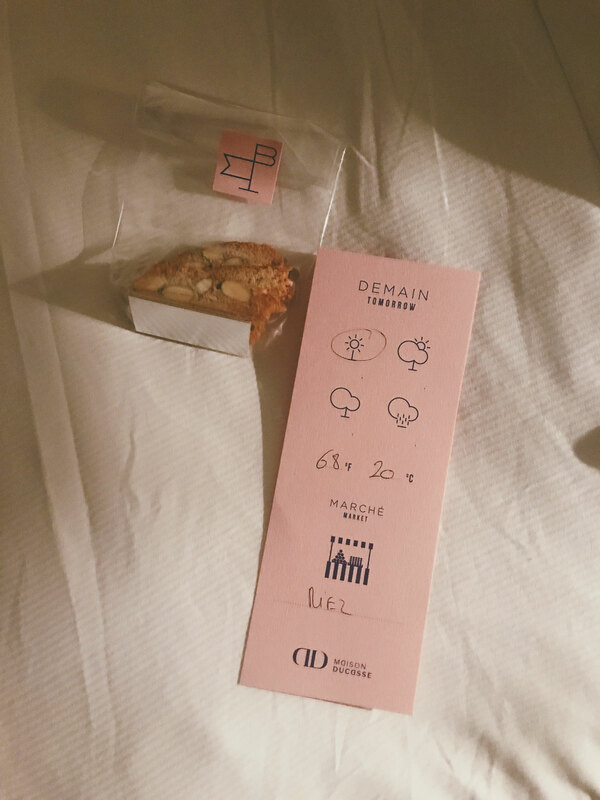 Very simple but delixious, it was a real pleasure to start discovering the authentic life by Ducasse with a snack of this quality. After sleeping like a baby in the comfortable bed of my room, it was time for a breakfast like no other. Fresh bread, croissants, pains au chocolat, fruits, eggs and cheese, everything was on the table. Juices, tea, coffee accompanied the “so well starting morning”. From the cute dishes to the tablecloth, it was perfect. 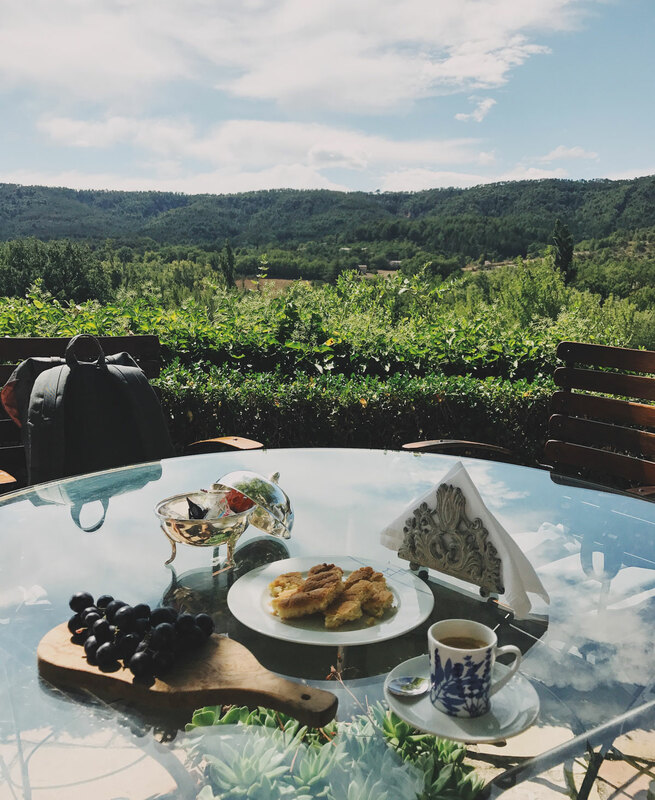 My friend and I could not enjoy the breakfast on the terrace due to the wind that day but we had a coffee later and enjoyed the view at its best. At lunchtime, the tone on the table was blue. Plates, glasses and even napkins have a discrete touch of contemporaneity. My friend and I went for the 52€ menu which included a starter, a main and a desert. I started with the egg yolk, celery and nuts, toasted millet. I adored the combination of the crunchiness of the millet, the finesse of the white truffle and the melting egg. I then continued with a beautiful piece of turbot accompanied with young carrots, which were perfectly cooked, and coriander. The aromas were dosed with attention and again, the combination of savours was well chosen. I could not resist a desert so I chose something I did not know: spelt, spelt ice cream and strawberries. It was amazing. My friend went for the chocolate and fig tart and he loved it as well. Check out the impressive section of wines on the card. We were glad with the selection we were served and it would have been a shame to not accompany this wonderful lunch with wine. 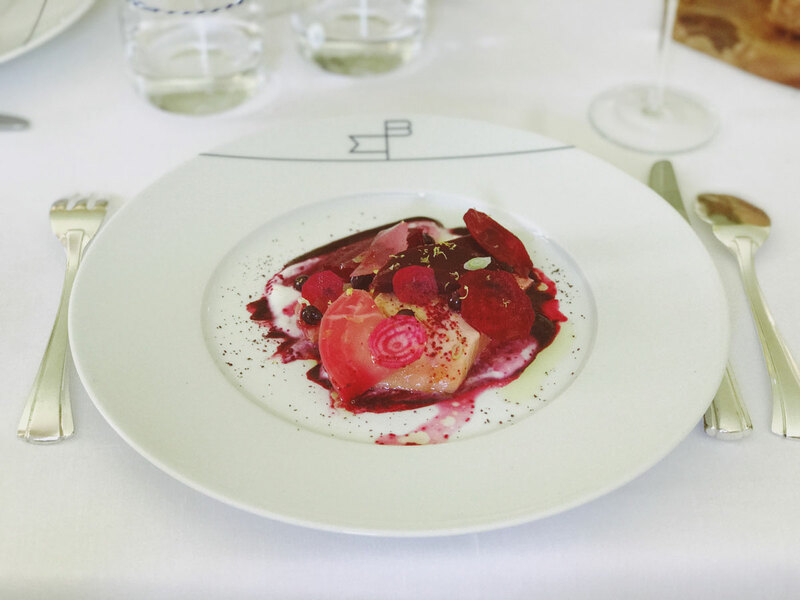 I can honestly say that La Bastide de Moustiers lunch was one of my favourite French gourmet food experiences. Everything from the dishes to the presentation in the plate and obviously the food itself was made with finesse and attention to details. It is an experience where all the senses are called and to me, it was exceptional. The ambience is amazing, and the veggies come fresh from the garden right outside of the door. I think La Bastide de Moustiers is the perfect spot for gourmet food lover. Helpful Tip: La Bastide de Moustiers has incredible offers. 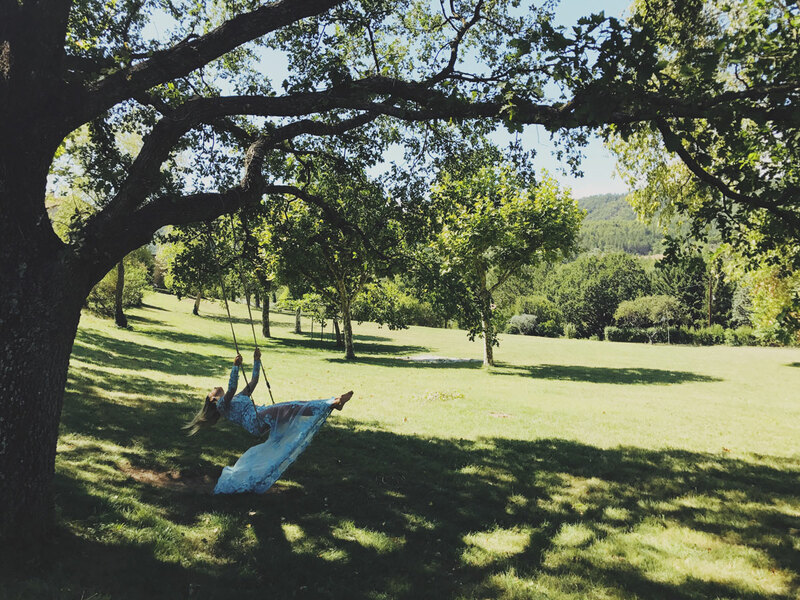 From staying 3 nights and paying only 2 to tailor-made long weekends or spectacular picnics in the Gorges du Verdon, you should always call before booking your stay.